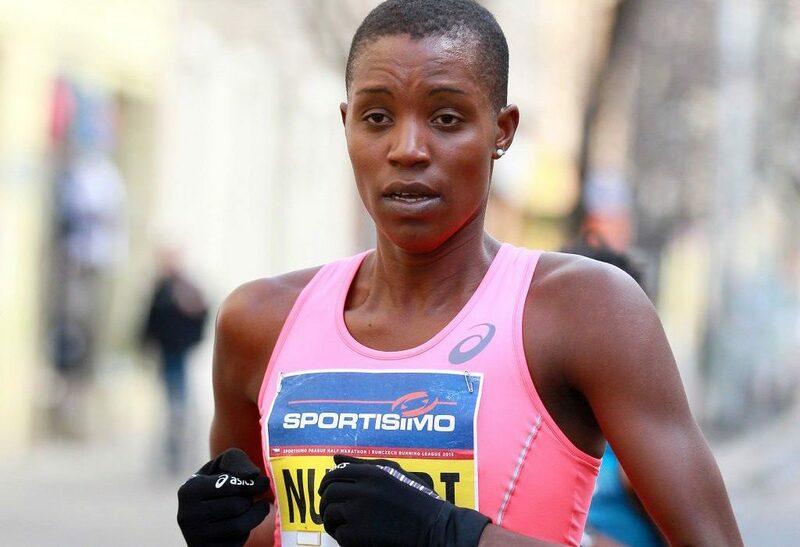 Home / Features and Reports / Diane Nukuri: "Iten is one of the hardest places to train"
When Burundi’s Olympic marathoner Diane Nukuri crossed the finish line at the 2015 Sportisimo Prague Half Marathon on Saturday March 28, her third place in 1:09:33 was a vindication for a bold move in preparation for this race and her return to the London Marathon next month, where she ran 2:33:01 last year. 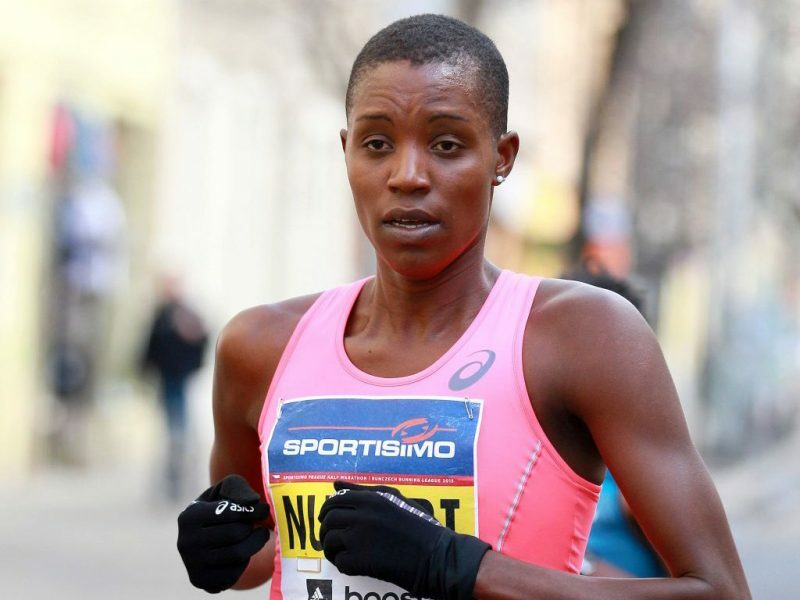 Burundi’s national record holder for the marathon with 2:29:35, set in Amsterdam last October, had decided to prepare for Prague and her return to the Virgin Money London Marathon on April 26 by training at one of world’s renowned training venues, Iten in Kenya. Following her national record in Amsterdam in 2014, she accepted Lornah Kiplagat’s invitation to get a taste of the Kenyan training regime at her sports centre. It has paid off handsomely so far, as Nukuri talked about renewed mental and physical strength shortly after the half marathon in Prague. “Iten is one of the hardest places to train. For my first couple of weeks, I honestly didn’t think I was going to make it. You’re not going to find anywhere to run without hills. People talk about drugs and stuff but there are people there who work so hard. It was a first taste of group training, Kenyan-style. Diane Nukuri left her troubled homeland before graduating at the University of Iowa, so despite her African heritage the challenge of Iten was daunting. While she did join a group for core training at Lornah Kiplagat’s training centre and found the experience stimulating and helpful, Nukuri’s focus was always on the Sportisimo Prague Half Marathon before the ultimate examination of the London Marathon. Her performance in the Czech capital boosted her confidence for a successful outcome. “When I ran a PB of 1:09:12 [finishing second to Kenya’s Caroline Rotich] in New York two years ago, it was the perfect day. Here was totally different, there were a few problems with the wind and I’m so happy because I finished strongly, running pretty much the whole way by myself. An Olympian at the age of 15 when she ran the 5,000m at the 2000 Olympics in Sydney, Nukuri has served a long apprenticeship but there’s a sense that her measured approach will bring solid reward.